This week youngsters at a Boston primary school are rising to the Dragon’s Den-style challenge set by chilled food producer Freshtime. 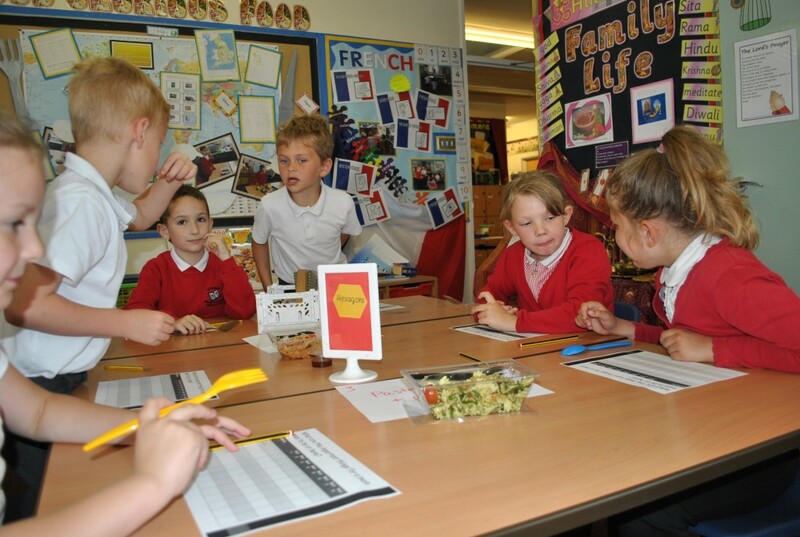 Yesterday (Monday) 60 year 3 pupils at St Thomas’ Primary School took part in a taste test during the first session of a week-long Dragon’s Den-style task, marking the end of the Freshtime Fun Club 2015. 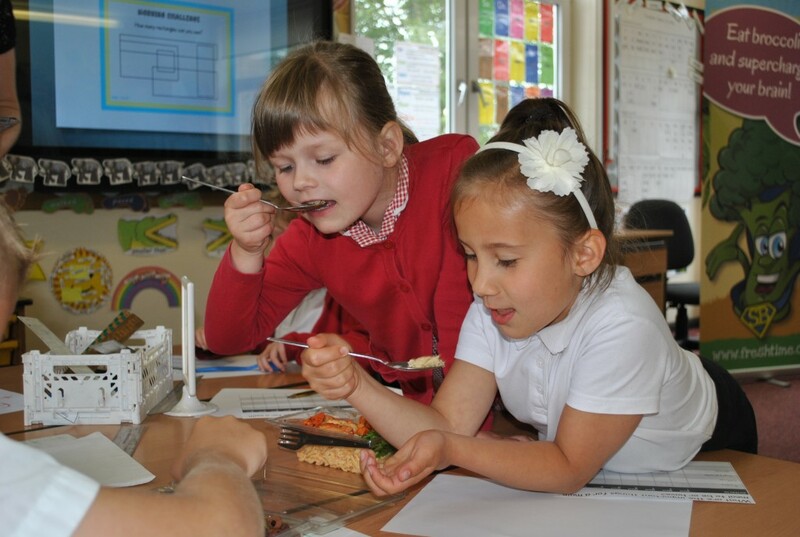 Mel Miles, Freshtime Head of Agronomy, introduced the seven and eight-year-old pupils to a variety of healthy, ready-to-eat pasta and vegetable salad dishes. 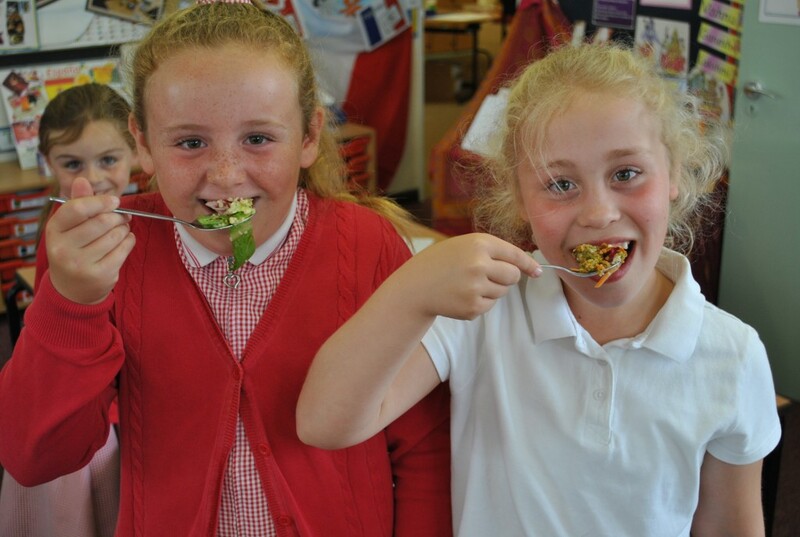 The pupils tasted 10 salad dishes produced by Freshtime and rated them based on how healthy they are, how much they enjoyed the taste and smell, how appealing they looked and how filling they were. The pupils were then challenged, via video link by Freshtime MD Mark Newton, to work in groups to come up with their own salad product, aimed at encouraging children to eat healthily. On Friday, the 10 groups will put their ideas to Freshtime’s MD Mark Newton and his Dragon’s Den panel, who will judge the winning ideas. Each of the groups has an opportunity to win house points for their efforts, but one lucky team will win a healthy cook book. The club, delivered by staff from the leading fresh chilled food producer based on the Riverside Industrial Estate in Boston, aims to raise awareness of healthy eating and where food comes from. Earlier in the summer term pupils from Reception and Year 2 took part in planting sessions with Mel Miles.